What do you get when you combine koalas, drones, and virtual reality? For three students at QUT, the combination led to an opportunity they couldn’t pass up. The three just completed a Vacation Research Experience Scheme (VRES) with ACEMS at QUT. The aim of their project was to combine maths and stats with technology like drones and virtual reality to study koalas and the habitats they choose. “This is a case study demonstrating how we can bring these data sources together to provide better information for conservation. 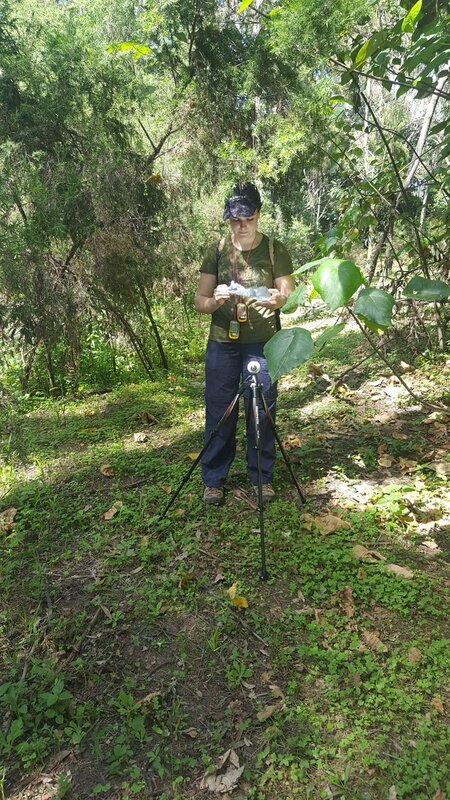 This is about using new digital technologies like drones and VR to get extra information that we wouldn’t get from a small number of volunteers who go out and look for koalas,” said Dr Erin Peterson, a Principle Research Fellow with ACEMS at QUT. Erin pitched the project at a maths career night at QUT, and landed three amazing young women, all in their third year at QUT. Grace Heron and Ella Wilson are both studying maths and engineering. Taylor Gregory is studying IT and maths. The project involved three main components. The first was going out into the field to collect data and 360-degree images to be used with the virtual reality. “We took 360-degree images of a sample point and then we took those images and clustered them based on their environment variables. Then I took those images, ordered them based on the cluster, and made apps for a phone which I then put into a VR headset,” said Ella. The next part of the project was to take the VR headset, and immerse a group of koala experts into those virtual environments. “I was involved in the expert elicitation. That involved designing the elicitation questions for our experts, asking them what makes a koala habitat suitable, and then asking them about each of the different scenes that we had on the VR,” said Taylor. The third part was then to take all that data, including thermal imagery from drones, and create statistical models. That was Grace’s job. “There were a lot of surprises. We found that it was very hard to predict where koalas are because they move wherever they want,” said Grace. “I liked that we weren’t at a computer all day, every day. 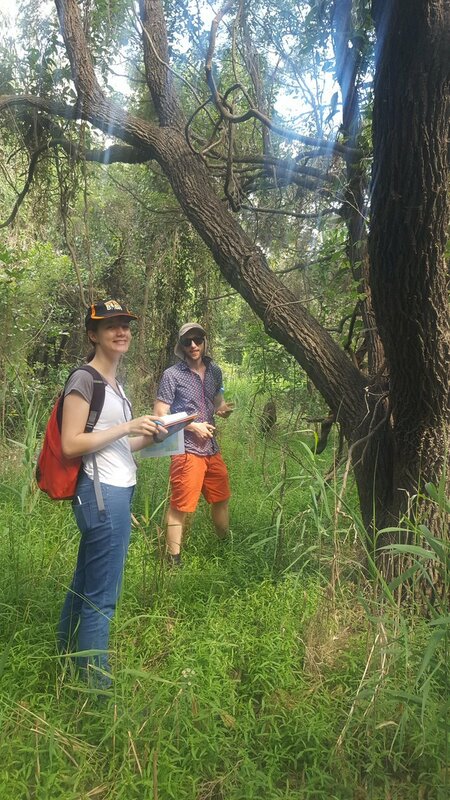 We got to go out in the field and take field data, we got to be here at ACEMS and do the analysis, and we got to go out and talk to the experts and reaffirm everything we were doing here,” said Taylor. Erin says the three women had a lot of fun, while also doing some very good research. “We want maths students to come in and be excited about using statistics and using new technologies. Personally, I hope they get excited about environmental applications and what you can do with maths and stats to help with conservation and environmental management,” said Erin. 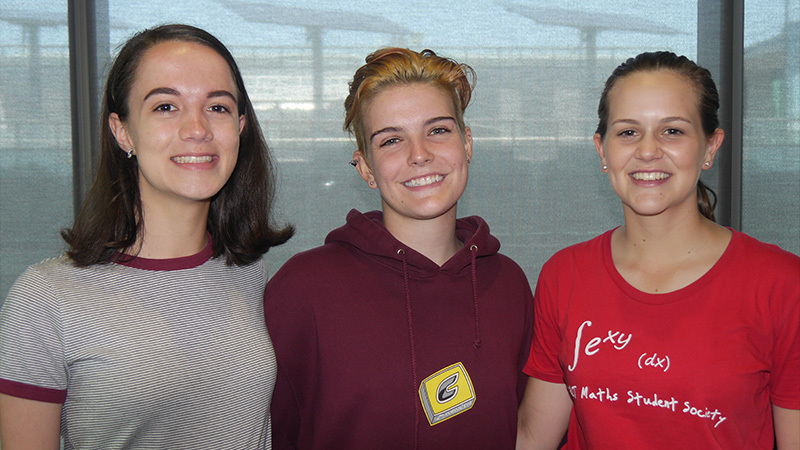 For the three women, the ACEMS experience allowed themselves to be immersed in a group of mathematicians and statisticians, all with different backgrounds and skill sets. “There were people familiar with the expert elicitation, people that were familiar with the VR and there were people familiar with the modelling. So to be in an atmosphere with all of them at once was really great and meant that we got to move really far in this project,” said Taylor. “The ACEMS environment is really great. It was a fantastic opportunity and I loved every minute of it,” said Grace. “Absolutely loved it. If I had the chance, I would do it again,” said Ella. Luckily for ACEMS, the collaboration with Grace, Ella, and Taylor will continue. The three will stay on as research assistants with ACEMS to work on the Koala project, along with several other projects now going on in the Centre.